I am a city girl and have no idea what possessed me to do what I did. 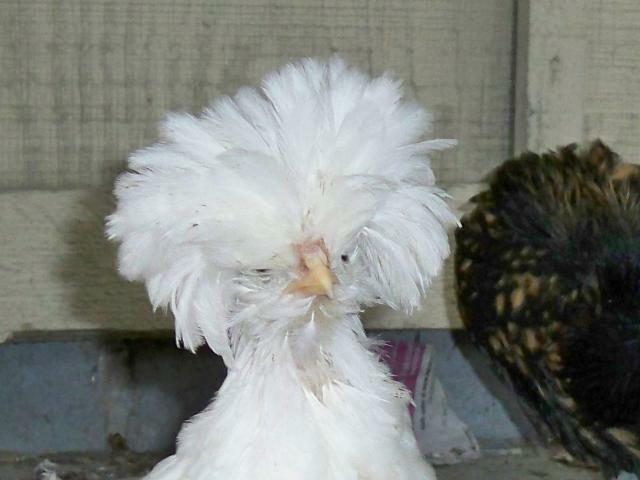 I had never raised chickens before and decided I needed a challenge and so the story begins. March 15th, 2008 I ordered the Top Hat special and two Turkins from Murray McMurray and right away I gave 10 to a local exotic bird store. They were thrilled with their chickens. I then proceeded to raise the rest in my living room in a box until they were old enough to go outside. On a screened in back porch I might add. At about two months of age I gave half of them to my son who just recently moved to a 20 acre farm. I decided he needed chickens and not ordinary chickens. To date he has 1 Golden Polish rooster (Fergus), 1 all black hen (Spike), 1 all black rooster (Hawk), 1 White Crested Black Polish rooster (Rocky), 2 White Crested Black Polish hens (Spot, Heston), 1 White Crested Bearded Polish (No Name), and 2 gorgeous Turkins. One hen Meyer and one rooster Oscar. He just recently gave Homer and Two Toes, 2 White Crested Polish, to his friends. Gloria on the other hand never really stayed on the farm, so home with me she came. 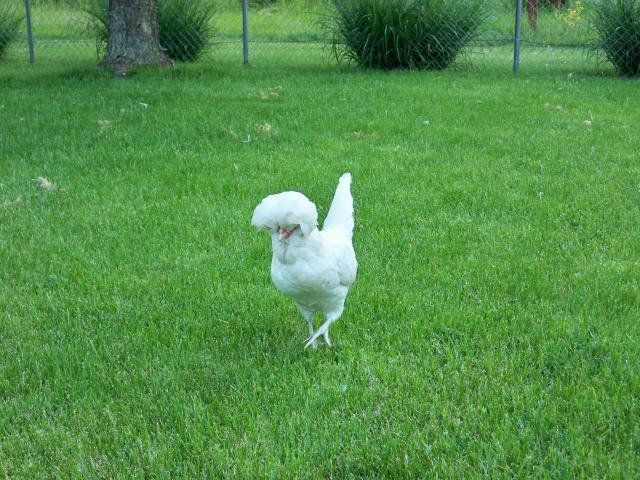 She is a White Crested Bearded Polish and just a cute as button. She lives in on the back porch, however, she is not limited to living on the porch, she has the run of the backyard. Over the winter I have a heat lamp on the porch for her and at night she comes in the house and sleeps in a cage. I figured why not. She actually comes to the back door when it's time to roost. I have a cockatiel that lives in the house and they're both fowl, right? My youngest son, grandson and I have such a good time watching her antics. She is such a character. She has tried on occasion to sleep on the back of the chair in the living room. I have a cat Murray and he is very fond of Gloria. When Gloria is out of her cage Murray insists on playing with her like she is a cat. That's it for the animals. I have three grown children, one step son, two grandsons, one daughter-in-law and one son in law. Gloria at 10 weeks and Gloria at 1 year! Gloria in her backyard 2011! Sad day on Friday October 19th, 2012 we lost Gloria. Poor thing, in the past several we have been fighting eye infections, strokes and an animal attack. She survived the animal attack but not the strokes. 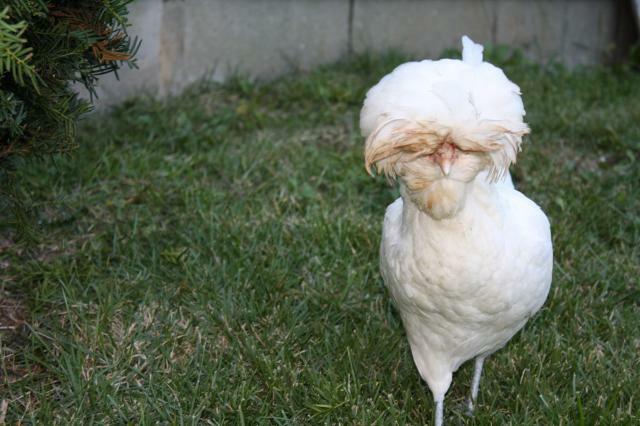 She was the best pet chicken ever! Miss having her around.